Mojave Air & Space Port is in negotiations with Monster Fitness in Lancaster to expand into the new community center on the Airport. Monster may provide amenities, such as state-of-the-art equipment, martial arts classes, Zumba classes, and personal trainers to provide the most modern, comprehensive fitness center in the Antelope Valley – right here in Mojave! Do you want Monster Fitness in Mojave? What do you want to see? This entry was posted in Amenities, Fitness Center, Lifestyle Businesses, Mojave CA, Monster Fitness on February 16, 2014 by mojavefoundation. 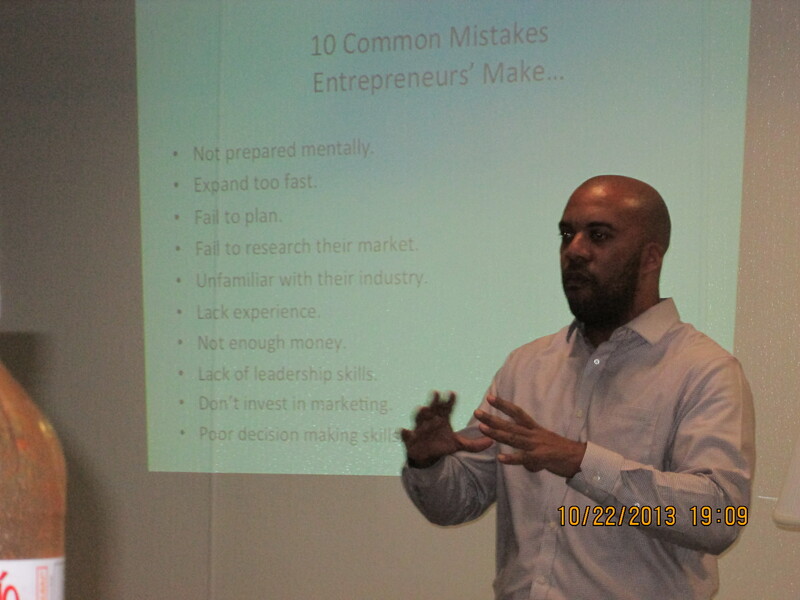 January 20: Mojave’s bi-weekly Entrepreneurship Workshop kicked off again with Raimone Roberts of the Small Business Development Center (SBDC) in Los Angeles. 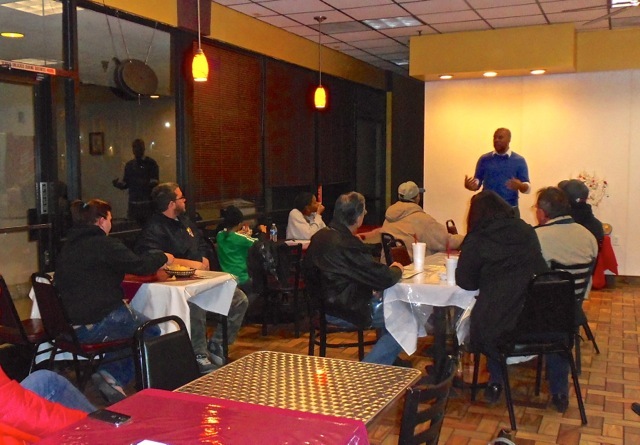 With approximately two dozen in attendance from all over the Antelope Valley, Raimone challenged residents and small business owners to rethink their vision for 2014. “Where will you be on January 16, 2015?” he asked the audience, and gave them “homework” to rethink what they did last year and challenge themselves in 2014. Highlights of last Wednesday’s meeting were to Set Goals, Dream Big, and Imagine. 1) What is your business, product or service? 2) Get mission critical – what is your mission? Has to be simple, clear and practical. 3) Focus on a better business. Build and strengthen your skill set. 4) Daily Habits – Are they progressing you or hindering you. Roberts went into detail on each step of his challenge, and looks forward to seeing what entrepreneurs come back with next week – giving entrepreneurs a direction and goal to focus their energies. There were real estate owners in this week’s meeting, potential investors, Career Services representatives, and small business mentors – all willing and eager to provide financial and inspirational support to aspiring entrepreneurs throughout the Antelope Valley. The Mojave Foundation is dedicated to proving aspiring entrepreneurs with the support and resources necessary to start their own business – right here in Mojave, and the Antelope Valley. Our classes are free and open to the public, and a great way to network and meet other people with possible resources to compliment your business idea. Our next workshop is Wednesday January 29th at 6pm at Anthony’s Grill in Mojave. 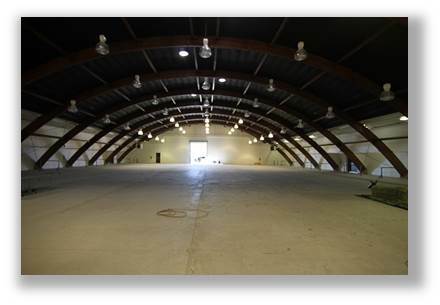 If you have any questions, call Mike or Susan Fortuna at 661-824-2275, or mojavesusan@gmx.com. 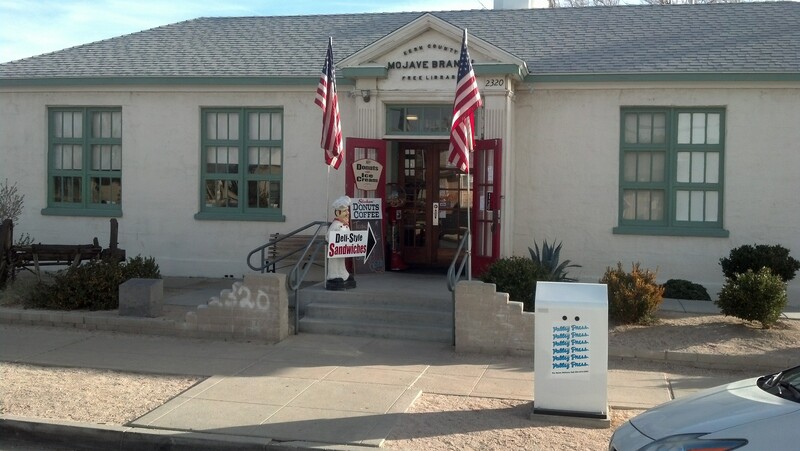 This entry was posted in Amenities, Community events, Entrepreneurship, Lifestyle Businesses, Mojave CA on January 18, 2014 by mojavefoundation. The Mojave Foundation celebrates Stoken’s success, and their entrepreneurial zeal. We appreciate Stoke’s commitment to the community – demonstrating that there is a market for high-quality service and offering to share that success with other aspiring entrepreneurs. We wish James and Leigh and his staff even more success in 2014. This entry was posted in Amenities, Community events, Entrepreneurship, Lifestyle Businesses, Mojave CA on January 3, 2014 by mojavefoundation. Mojave Foundation Receives 501(c)3 Status! December 3: The Mojave Foundation is proud to announce that we have received our 501(c)3 status from the IRS. This means that the MF can now receive donations, which the donors can deduct from their taxes! This is critical to our mission to clean up Mojave, and allows us to put real resources behind our big ideas. We have accomplished a lot in 2013 with no money and a highly-motivated group of volunteers – starting a volunteer police squad (CSU), demolishing and cleaning up lots, and launching a series of entrepreneurship and educational workshops. But community-scale infrastructure projects will require substantial investments from both public and private donors. Some of our funding priorities in 2014 are (1) to demolish vacant hazardous structures that blight our downtown area, (2) to increase the public lighting for safety and security, (3) to build a railroad park on the west side of Sierra Highway, as well as community gardens. We believe that this community has the means and the motivation to change this town for the better, and we humbly encourage all residents to get involved – either by volunteering at the school, or the senior center, or with the Mojave Foundation! We intend to match this incredible outpouring of community support with tangible results in a relatively short period of time. We will execute all projects quickly and efficiently, with 100% transparency. Individuals can make general donations to support the Foundation’s operations, or can donate to a specific project; we will work with you to find a project that fits your priorities for the community. To make a tax-deductible donation to the Mojave Foundation, click here! This entry was posted in Amenities, Beautification, Cleaning up, donate, Lifestyle Businesses, Mojave CA, Safety, Security, Selfless Service, Volunteer on December 3, 2013 by mojavefoundation. The Mojave Foundation is proud to continue offering these free informational sessions to the public, helping aspiring business owners to draft a business plan, secure financing, select a location, and hire local employees. These workshops have already inspired several businesses to start here in Mojave, and we expect many more in the next several months. This week’s workshop will be led by Raimone Roberts of the Small Business Development Center in Los Angenles. Raimone will cover the basics of writing a financial outline for your business plan, and help entrepreneurs develop their “elevator pitch”, which is designed to help business owners clearly articulate what they do in 30 seconds or less. The next class will be at Anthony’s Grill, right next to Stater Bros., and will start at 6pm on Thursday, November 21st. This entry was posted in Amenities, Community events, Entrepreneurship, Lifestyle Businesses, Mojave CA on November 20, 2013 by mojavefoundation. This entry was posted in Amenities, Community events, Entrepreneurship, Lifestyle Businesses, RENEWBIZ on October 30, 2013 by mojavefoundation.